Home / Academic Service News / The Center for Scientific and Technological Equipments Walailak University. 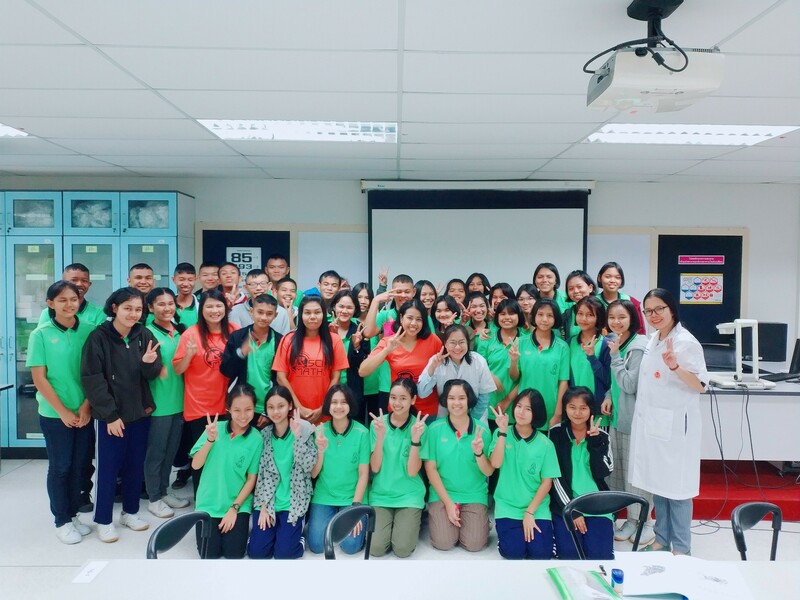 Organized a science camp for students of the Saparachinee Trang School, Trang Province on 3 – 4 January 2019. The Center for Scientific and Technological Equipments Walailak University. Organized a science camp for students of the Saparachinee Trang School, Trang Province on 3 – 4 January 2019. The Center for Scientific and Technological Equipments Walailak University. Organized a science camp for students of the Saparachinee Trang School, Trang Province on 3 – 4 January 2019. At The Science and Technology Building This activity helps students to learn from direct experience and act on their own by having scientists from The Center for Scientific and Technological Equipments to give advice, knowledge and use of tools. Consisting of Various knowledge bases are as follows: 1. Play the color conversion light. 2. Than to be the headmaster. 3. Cut the frog to find love. 4. Microscope. 5. Weights and Measures. and 6. Close the case file. On this occasion, we have collected some photos which can be seen from the link below. Previous The Center for Scientific and Technological Equipments, Happy New Year 2019, to various agencies within Walailak University on January 3, 2019. Next The Center for Scientific and Technological Equipments Walailak University Participated in the Children’s Day activities 2019 on Saturday, January 12, 2019.